Port Askaig. Where is that, you might ask? Well, all you need to know is that the whisky comes from Islay, the whisky isle. More detail? Well the town is a little port settlement on the eastern coast of the island. But I have been misleading you by talking about the settlement. 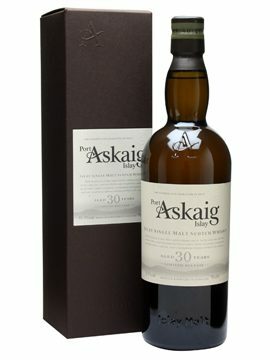 Port Askaig is one of the more uncommon Islay single malts, as it’s not actually a distillery, but is instead an independent range of whiskies . Where does the whisky come from? Well, it’s Islay, that much is certain. But as for the distillery, I have my theories, which I’ll get to. Today I happen to have two fantastic examples from the range, so without further ado. Colour: Straw. On the nose: gentle smoke. Aromatic. An afternoon breeze of wood fires, with brine and citrus notes. Zesty. Olives. Brie. A distant note of oregano. In the mouth: oh that’s very pleasing indeed. Oily, dirty, but delicious. Herby, grassy, vegetative, sweet peat and charred meats. Jammy. It has ever so slight hints of Ardbeg Alligator, but in a good way, and taken in a better direction, yet it lends it self more to the structure and flavours of Caol Ila, and sits in the mouth perfectly. In fact, I’m going to guess this whisky actually is peated Caol Ila. Delicious. It’s the perfect everyday-drinking peated whisky. 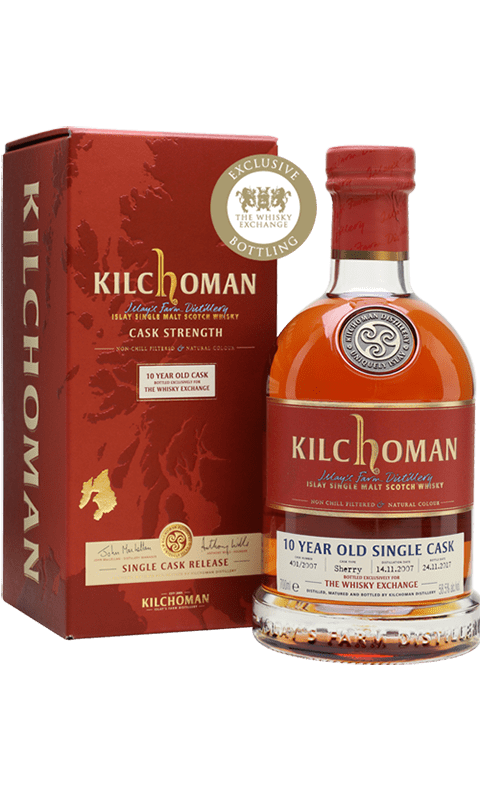 Cask strength? It shows only in the intensity of the flavours – otherwise it’s ridiculously drinkable. Hands-down the best peated whisky I’ve had in a long time. Highly recommended. Colour: Slightly darker than the 19, with a more orange tone to it. Early sunset. On the nose: big berries, plummy, jammy. Slight note of dough, as if you’re making your own bread and letting it rise in an airing cupboard. Whiff of lime cordial. In the mouth: That has a cracking texture. Sometimes it’s the feel in the mouth that hits you the most. Here there’s a medium weight, reasonably clean feeling, but at the same time you’re hit by a complex malty sweetness. Briny. A little smokey fish. The peat is gentle, smouldering. Difficult to pick this structure apart at first, as there’s some superb balance: the bitterness of the malt against the cherries, plums, raspberry notes, warmed with a little wood spice. It’s like an entire summer meal, followed by pudding, and eaten outdoors. So then. 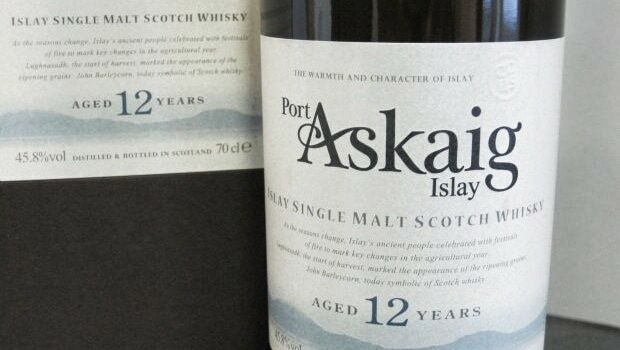 Caol Ila whisky hiding in Port Askaig bottles? I’ll bet a shiny penny that it is. 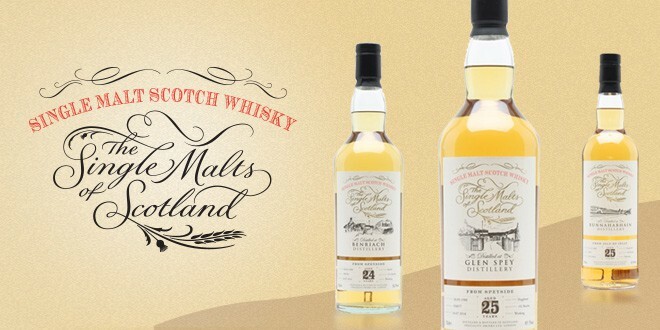 The 19 Year Old Cask Strength will set you back £80, and the 30 Year Old Cask Strength a cool £200. Both worth it? 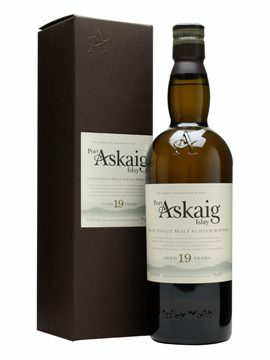 I’d say so, however, I enjoyed the 19 Year Old Cask Strength immensely. It was a delightful dram that reinvigorated my love of peat whisky when I was going down the path of sherry bombs. If it is indeed Caol Ila, then my quest to find the perfect example of this distillery might well be at an end. Why the hell aren’t they releasing this stuff themselves? 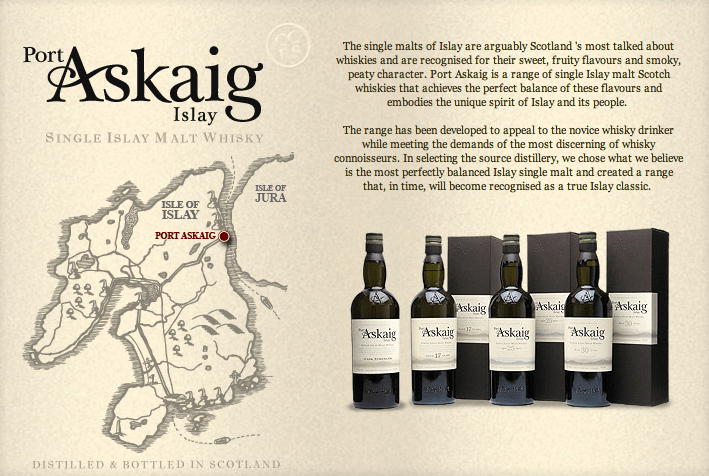 The distillery closest to Port Askaig is Caol Ila. Though I’ve never been to Islay, I’ve heard that Caol Ila is easily seen when you take the ferry to Port Askaig from the Scottish mainland.